The Global Islamic Finance Awards ("GIFA") are one of the most prestigious awards in Islamic banking and finance. They aim to highlight best practice in Islamic banking and finance. The Awards celebrate the success of governments, institutions and individuals in Islamic banking and finance, in promoting social responsibility, adherence to Sharia authenticity, and commitment to Islamic banking and finance. Yuta Uchiyama, the General Manager of MUFG is banking subsidiary in Malaysia, received the award on behalf of MUFG at a high-profile event in Jakarta attended by H.E. Joko Widodo, President of the Republic of Indonesia. “MUFG is honoured to receive the Best Islamic Project Finance House 2016 Award which recognises our contributions to the Islamic finance market and strengthens our position as a trusted partner,"
said Makoto Kobayashi, Chief Executive Officer, Financial Solutions Group at MUFG. “This prestigious award is the result of the strong dedication and combined efforts across the group to support the Islamic finance industry." The award reflects the continued development and growth of our Islamic capability through the close team work of Dubai, Strustured Finance Office for EMEA and MUFG is banking subsidiary in Malaysia. MUFG now offers Islamic finance to its global network of customers via two hubs in Dubai and Kuala Lumpur. In addition to project finance, our Islamic finance services include bilateral and syndicated corporate financing, ECA finance, trade finance, securitization, Sukuk, Islamic derivatives, and interbank deposits. 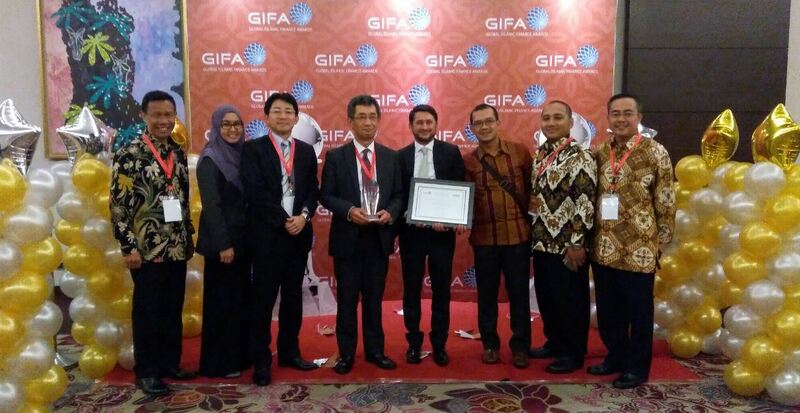 GIFA was founded by its chairman Professor Humayon Dar, who has also founded a number of initiatives in Islamic banking and finance, including Global Islamic Finance Report, Islamic Finance Review (ISFIRE), and an online blog for Islamic economics and finance called Islamic Economist.